A Trekkie (yes, fan of Star Trek) called me with questions about his start up business. I was almost delirious with delight because the conversation was a mind meld of some of my favorite topics: the law, his business, Star Trek, and food. We’re on the brink of celebrating the 20th anniversary of the debut of Star Trek Voyager, which also melded seamlessly into the conversation about his business. I know what you’re thinking, “Yeah, right!” Really, I’m serious. Entrepreneurs, probably similar to you, ask me about how to start a business all the time. Sometimes you have business ideas floating around in your head. Sometimes you’ve started but ran into a snag. Sometimes you’ve run into a concern that could be a legal problem. But cash is tight and you don’t have hundreds of dollars to shell out to a lawyer. The solution is at hand. 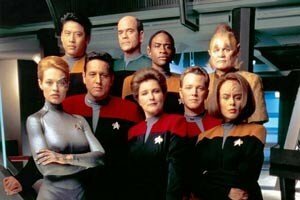 Why am I giddy over the 20th anniversary of Voyager’s pilot on January 16th? Is it because it won numerous awards including 7 Primetime Emmys? Is it because it was “the most feminist show in TV history” because it included: the first female Captain (Janeway) to head a Star Trek series, a bi-species female engineer with anger management issues, and the “insanely svelte” Seven of Nine character with her “absurdly tight space leotards” yet so emotionally and sexually devoid. Fascinating. No, I was really intrigued by the tidbits of foods that were on the show. Frankly, the series had me in the first 20 minutes when Tom ordered tomato soup and the computer responded with 14 varieties. It was so much more interesting than “Tea. Earl Grey, hot.” Throughout the series, the food was one of the most intriguing aspects to me. Voyager differed from other series in the Star Trek franchise because it focused on a lone spaceship that was accidentally transported to the Delta Quadrant. For the non-Trekkies, that meant it would take the crew 75 years to get back home. Because it was uncharted territory, they didn’t have a map to plan their way home. They also didn’t have enough supplies for 75 years so they had to improvise with unknown foods. 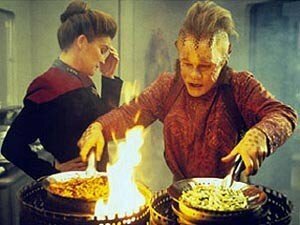 NEELIX: It is zesty, isn’t it? I tried following the recipe in the computer’s databank but it seemed so bland, so I took the liberty of spicing it up a bit. Call it plomeek soup a la Neelix. TUVOK: I must point out that if you take the liberty of changing a time-honoured recipe you are hardly presenting a taste of home. I’m sure you’ve done the same in your own kitchen, right? You start to follow the recipe and end up substituting an ingredient or skip a few steps to make it your own. Improvising and adapting was a key point of the entire show. The Voyager crew had a basic idea of how to get home, but there was no way to plot it perfectly with precise detail. They had to make things up as they went along. Starting a business is the same: There is a basic recipe, like a business plan template, but you have to adapt it and “personalize it” to make it work for you. If there was only one way to start a business, there would be one book titled “How to Start A Business” and we’d all buy it, follow it, and everyone would have a successful business. The book doesn’t exist, which means there are many ways to start a successful business. So what’s an entrepreneur supposed to do when the recipe is just not tasting right? Sometimes you just need a little hotline help. I’m excited to announce a legal hotline “Dish With Tish” Yes, in the tradition of the Butterball Turkey hotline, I’m starting a free hotline to troubleshoot your start up business questions. 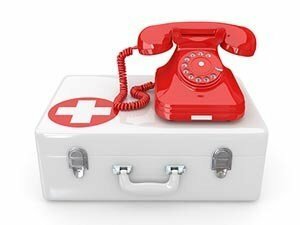 Dish With Tish is scheduled for every Thursday from 12:30-1:30 pm CST by calling in on our hotline. Let’s troubleshoot your legal questions together in a group. 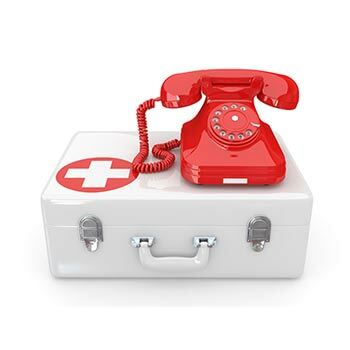 Hotline attendees will most likely be business owners just like you. Not only will you obtain guidance for your specific concern, you may listen and discover answers to questions you didn’t even know you had. And it’s free! Register here to get the call in details for our first call. The answers provided cannot to be construed as specific legal advice to your situation.